Krista and Joel Young serve the Lord through The Lutheran Church—Missouri Synod (LCMS) in Africa, based in Nairobi, Kenya. As the LCMS area volunteer coordinator for Eastern and Southern Africa, Krista works closely with other LCMS missionaries and ministry teams to develop and strengthen relationships with local church partners. 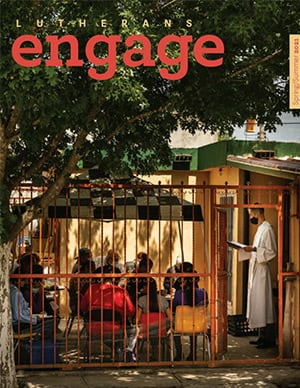 She connects the LCMS and its partner churches to provide short-term volunteer missionaries, short-term mission teams and medical mission teams in the countries of these two African regions. These teams strengthen the local churches and provide encouragement for the pastors and people with whom they work. She also coordinates short-term efforts and helps equip the teams to share the Gospel in appropriate ways with a strong cultural understanding. Krista (Adler) is a “missionary kid” who was born and raised in Papua New Guinea. She received her Director of Christian Education (DCE) certification from Concordia University, St. Paul, St. Paul, Minn., and then served as a DCE at churches in Missouri and North Carolina. Krista served as a volunteer coordinator in Ethiopia before coming to Kenya. Joel’s hometown is Wisconsin Rapids, Wis. He worked as a social studies teacher in Missouri and North Carolina. He has the gift of hospitality and works to make their many guests and visitors feel welcome. 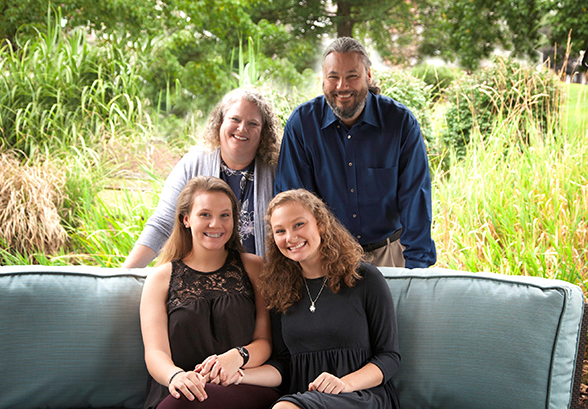 Krista and Joel have been married 24 years and have two daughters, Sydney and Grace. Pray for the Young family as they serve in Eastern and Southern Africa. Pray God grants Krista continued wisdom as she learns the language and develops strong relationships with the local people and church leaders. Pray for their family when they are away from each other due to Krista’s travels with mission teams. Ask God to keep them all in good health and help them be strong Christian witnesses to many people. Pray for all who prepare for and attend mission trips that they may have opportunities to boldly share Jesus’ love with the people they meet and with whom they serve. Let us give thanks that Krista and Joel are serving God’s children in this part of the world. 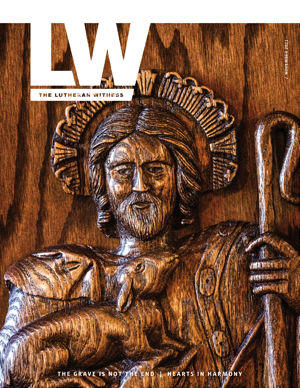 Giving Online: You can partner with the LCMS by making an online gift restricted in use to the support of the YOUNG family. Giving by Check: You can also make a donation towards the YOUNG family's ministry by check.